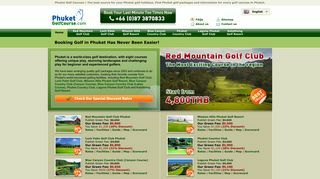 Phuket Golf Course – On-line booking for courses in Phuket, Thailand. Includes details of courses and special packages. – On-line booking for courses in Phuket, Thailand. Includes details of courses and special packages.